Sit back, relax, have a little break from the overwhelming X-Game'otions. 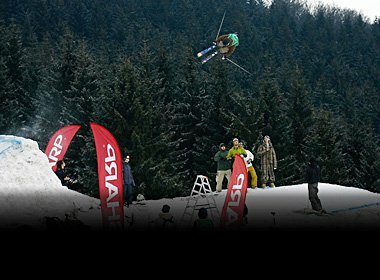 Take a little freeskiing quiz for a change! 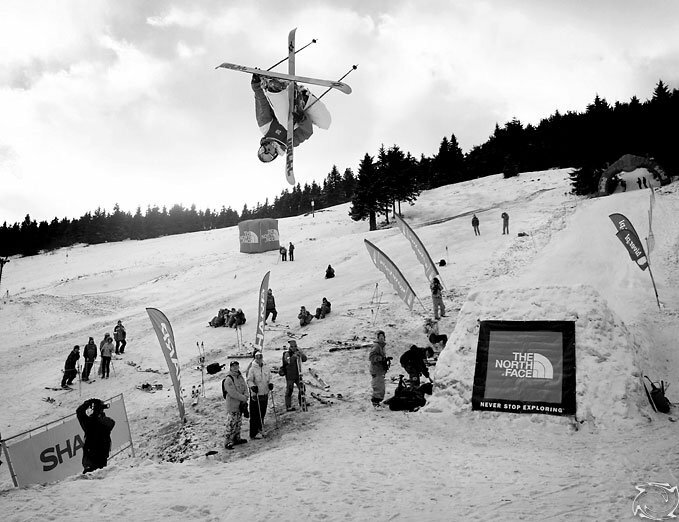 Question 1: What does it take to create the biggest freeskiing event of the year? 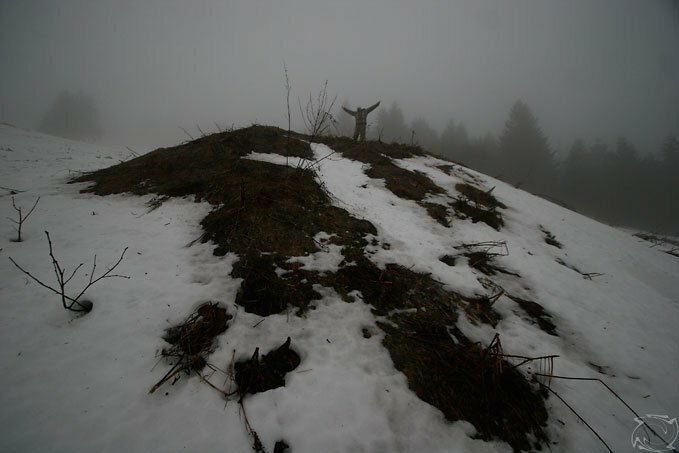 No, it's not Mordor on the picture, and the one standing there is not Sauron. 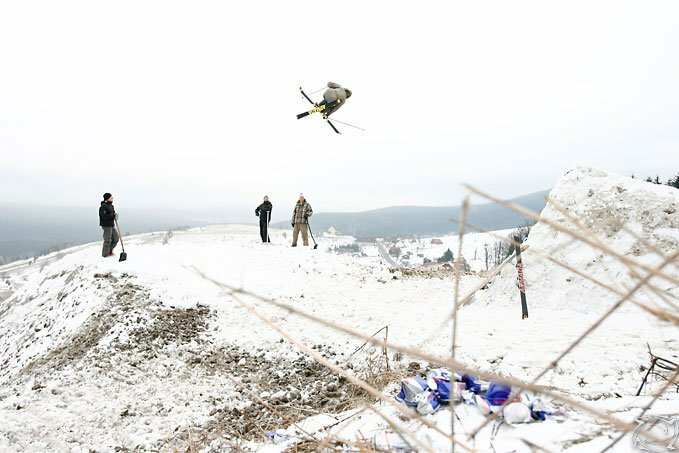 It's the place where the landing for the big-air competition is planned, and the one standing there is Leski - the father-founder, and conductor of the event that is about to take place for the fifth time - the North Face Polish Freeskiing Open. Let me pitch in some more info: it's well above zero Centigrade so producing snow is not an option. The dates of the event have been known and advertised for at least half a year. The riders' list is closed because the number reached the limit - one hundred twin-tip maniacs are going to come to a remote town in the South-Western part of Poland, Zieleniec in four days. Postponing the event seems quite a bad option. But making it real seems impossible! 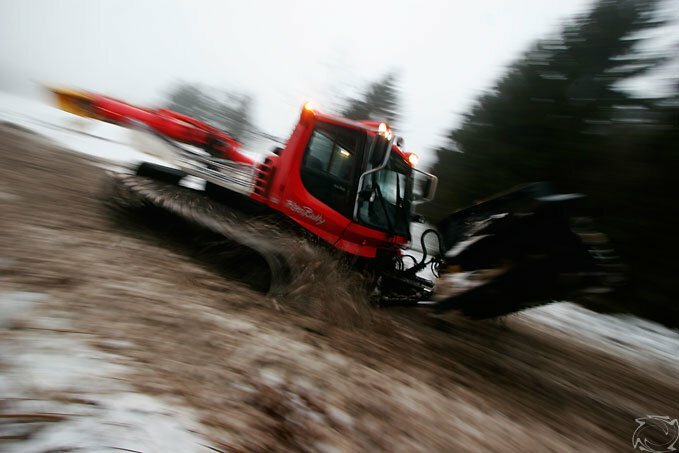 ...the pistenbully taken for a long mud-resistance test-drive. It's worth it! After three days of exhausting and long-into-nights work, the throne for the king of the air is standing, proudly overlooking Zieleniec. Thursday, last day before PFO. Kostek - the main shaper and the main judge of the competition, takes the construction for a test. "Needs more looping and it will be perfect!" 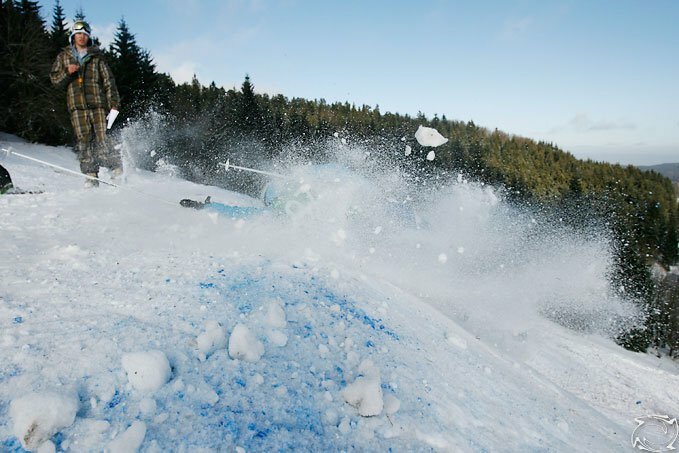 ...the rail park gets the final touch. The result was nothing we could dream of four days earlier! Marek Doniec - last year's king of the air. He can never wait till the whole set-up is ready and goes for a massive critical cork 7. Is he going to defend his title this year? The competitors, although young, have shown amazing progress since last year. 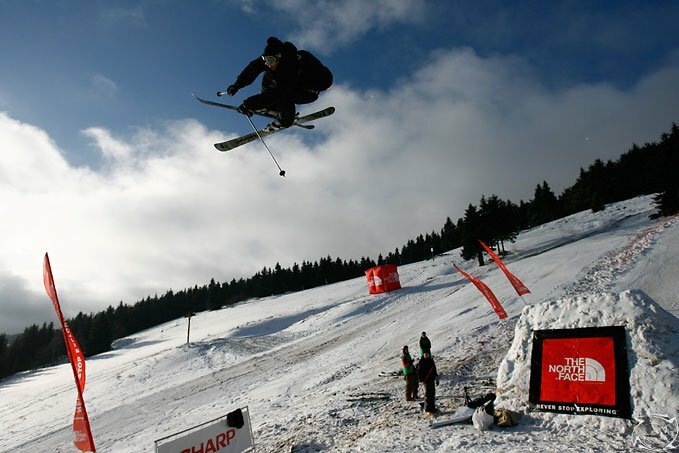 Young and talented Tomek Pazdzior here with smooth switch cork 7 safety. Aleksi Laitinen from Finland, here with stylish switch 5 nose. 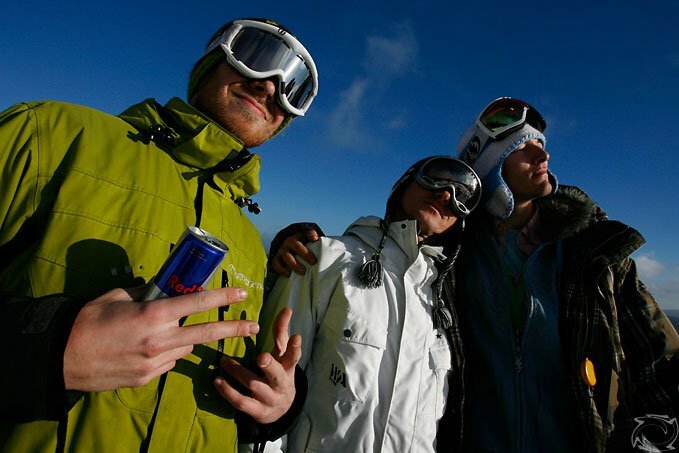 Our judges: Piotrek "Gnali" Gnalicki, Piotrek "Solt" Soltysiak and Kostek Strzelsk are ready to get down to work. They invented a special formula for judging the big-air competition. Out of all the riders, there will be only six making it up to the finals. And the finals consist of five jumps. Three of five jumps count to the overall ranking. One of the three must be style-jump up to 540, and preferably all of them must be different. That is quite a challenging day for the judges! ...making over the table is a challange, while some are going all the way to challange the last year's defender. Szczepan Karpiel doesn't stand behind either! Very exciting finals that accompany us till the sunset! Who is the one to take the highest place on the podium? This is something we find out on Saturday. Now, after the finals, a few-hours break accompanied by barbecue for the riders. But it's not over for the day! 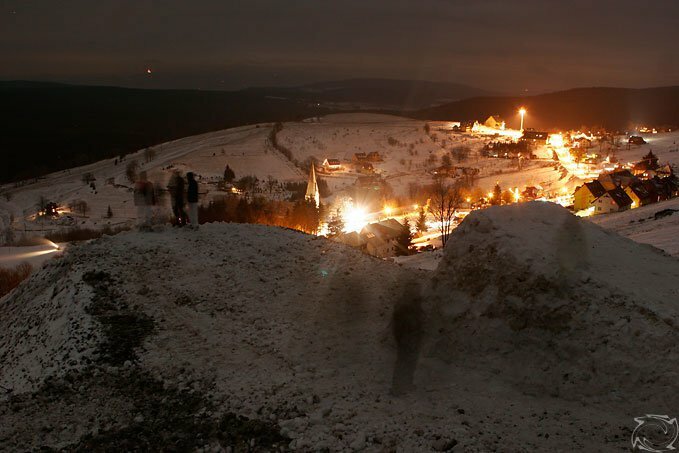 As usual in the first evening of the PFO, the lights over the rail-park are turned on and all the people gather from the village for a night-show. 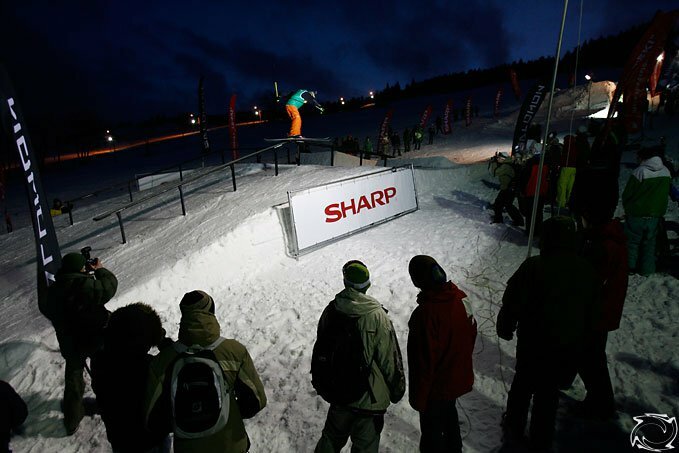 This year Sharp, the main sponsor of the night-session, grants a huge LCD for the winner. There is no second, nor third place on the night-session. The winner takes all! At 19.30 the Sharp-night-session is taking off! 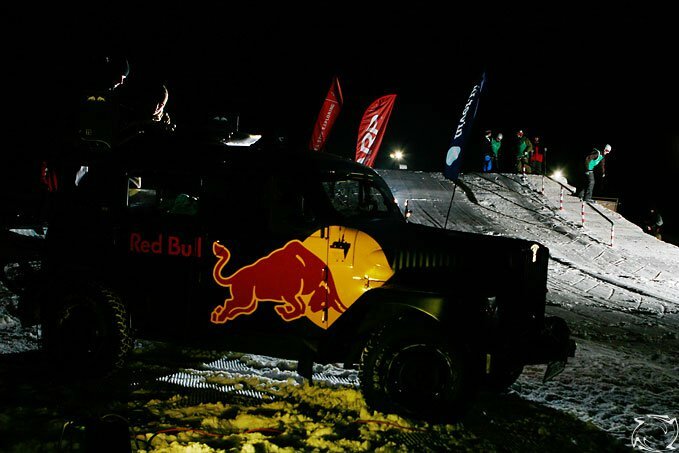 ...the riders are jammin' to the rythms of Red Bull's DJs - Benito and Prescot - mixing from their medieval-4WD-sound-system-Volvo. At the end it's clear to everybody who is going to take the LCD home. 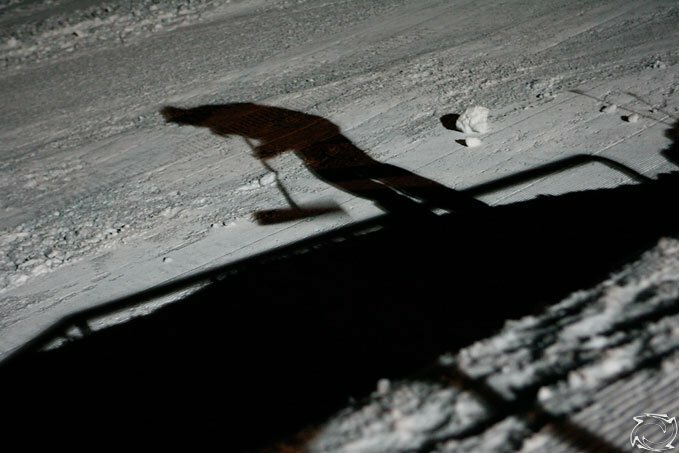 It is last year's night-session winner - Pepe Kalensky! His disaster 450's, pretzels, lip-slides, switch-ups and leaves little for the judges to argue about. What a tiring day! 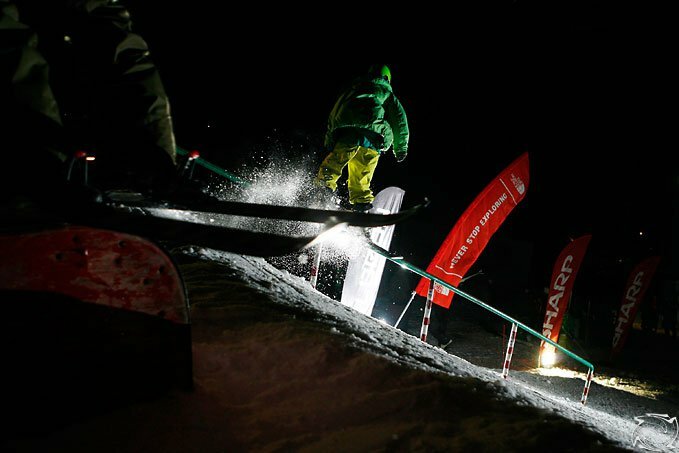 But as the PFO is not only a competition, it's also an occasion for all the freeskiers to meet, the day is not over yet...as the night is just beginning! But let us leave this one behind the scenes. Saturday. Overcast. The rail heat is scheduled to start at 10am. 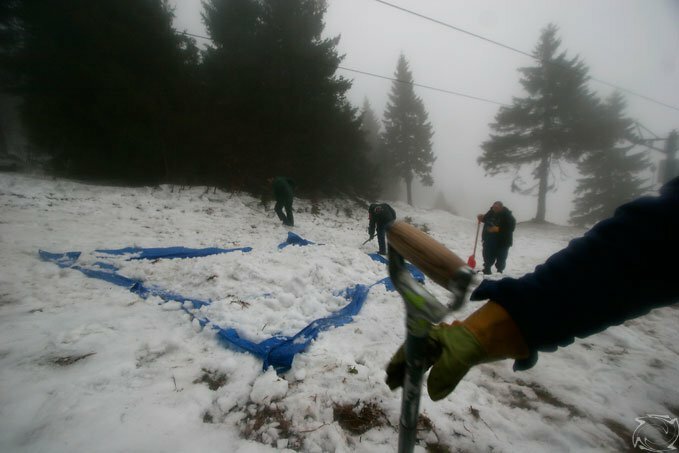 It is 11am when all the riders are out on the slope. The day seems kind of lazy though. 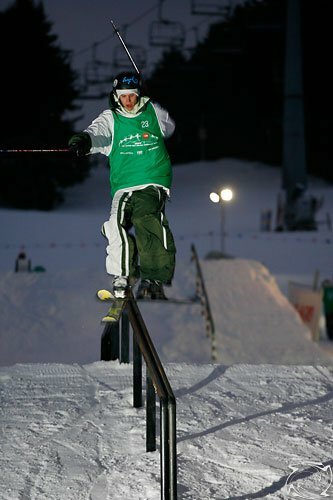 Aleksi Laitinen with a smooth 270 on a street-rail is one of the finalists. 4:30pm, dusk. The finals begin. And the guys go for their best again. Two hours of good show! But everything good has to end at some point, and so here comes the moment that so many people anticipated. The prize-giving! First come the women rails. Oh, yes, the girls were going crazy there as well! 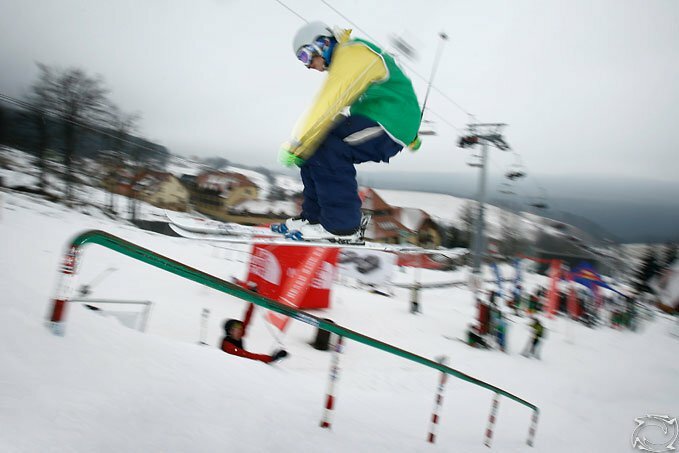 The rail contest was dominated by the slovak Zuza Stromkova, followed by polish Armada rider Weronika Chyc. The third position came to Natalia Slepecka. Congrats girls for the great job! 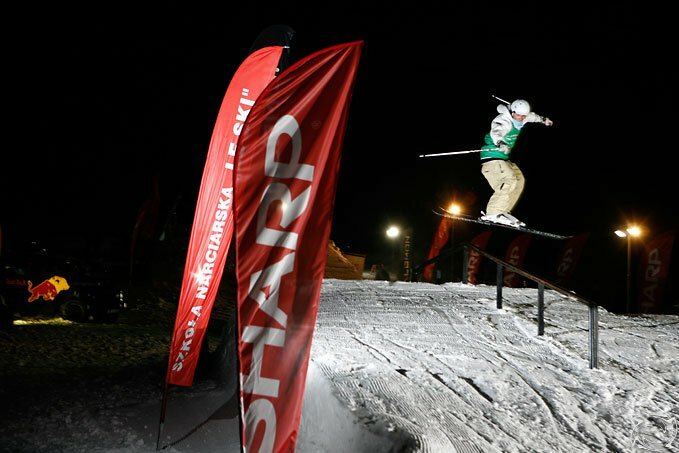 The best guy on the rails was... again Pepe Kalensky! Followed by our finnish friend, Aleksi Laitinen and Szczepan Karpiel. 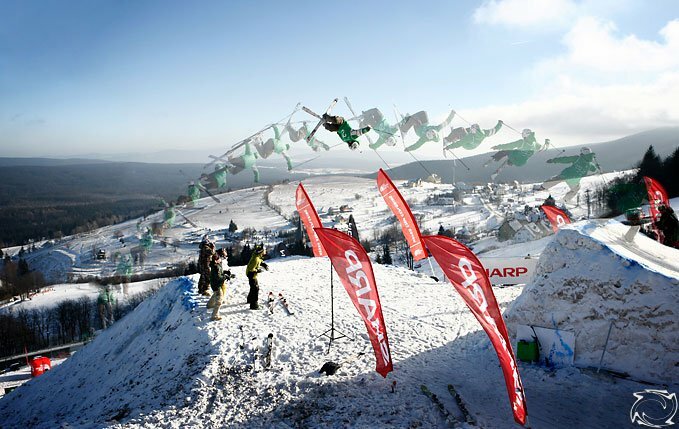 And here comes the answer to the ultimate quiz question: Who is the king of the air in Poland this year? Any guess? It's Szczepan Karpiel!!! Followed by... Jasiek Krzysztof!!! And Marek Doniec closes the podium list. 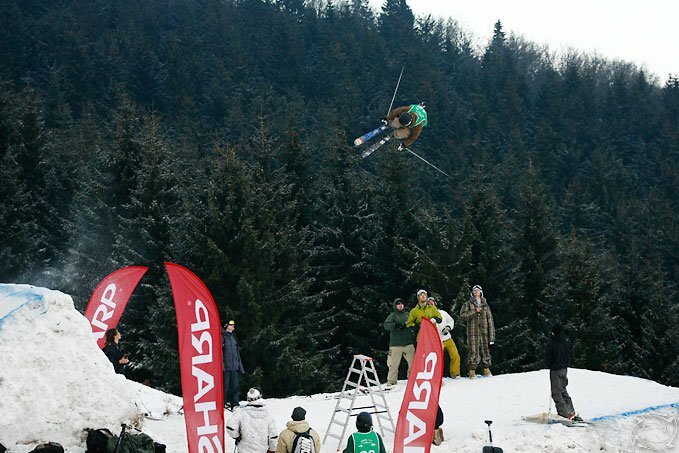 This year the prizes were the biggest in history of PFO - with 2000USD for the first place in big-air. Szczepan is already sure what he is going to spend the money for: "ski-trips to European parks to train and progress". ...hope to see you here with us next year guys! 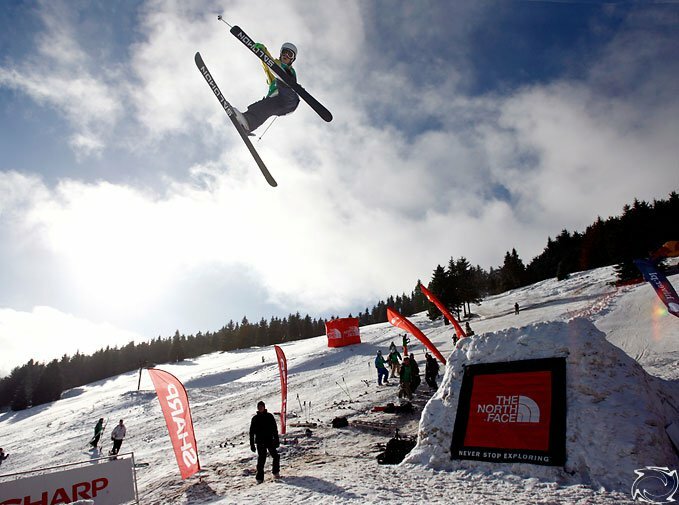 Abasin season ended June 3rd, making the ski area the longest open in Colorado again. The Merch Store Is Open! All new dad hats, a drama llama shirt, classic hoodies and long sleeves, Phunkshun x NS neck tube, beanies, and more!